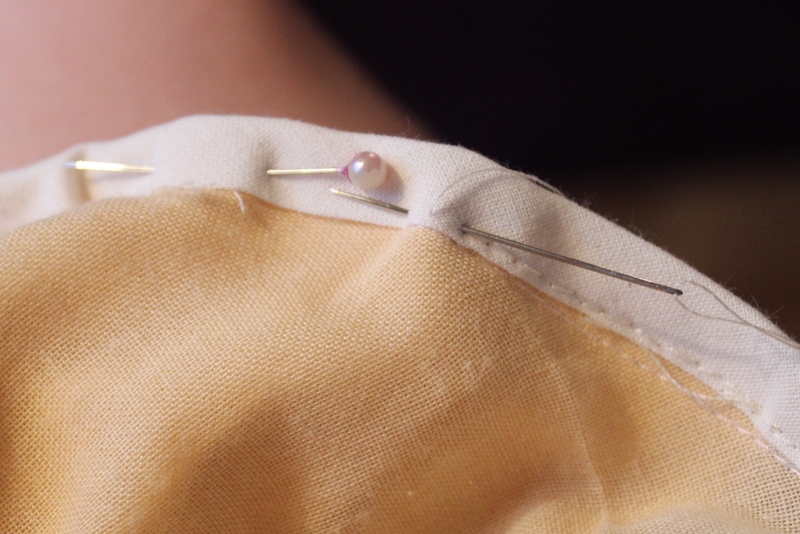 There are some things that have been bugging me with my new regency ensemble lately. Some of them I’ve told you about, and some I kept for my self – until now. Look at that hideous bust dart. This weekend I’m to once more do a dance recidal, and I wanted to wear the yellow gown again. So now was the perfect time to do something about the errors in the outfit. 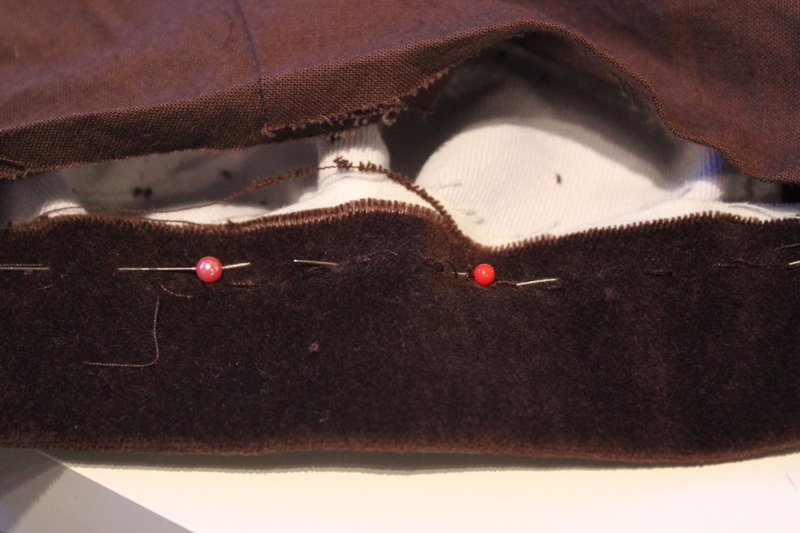 So last night I finaly picked up the seam ripper and got to work. 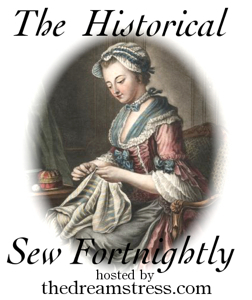 I started with my regency corset from last autumn. The corset itself are great and I love the fit and the shape it gives me. 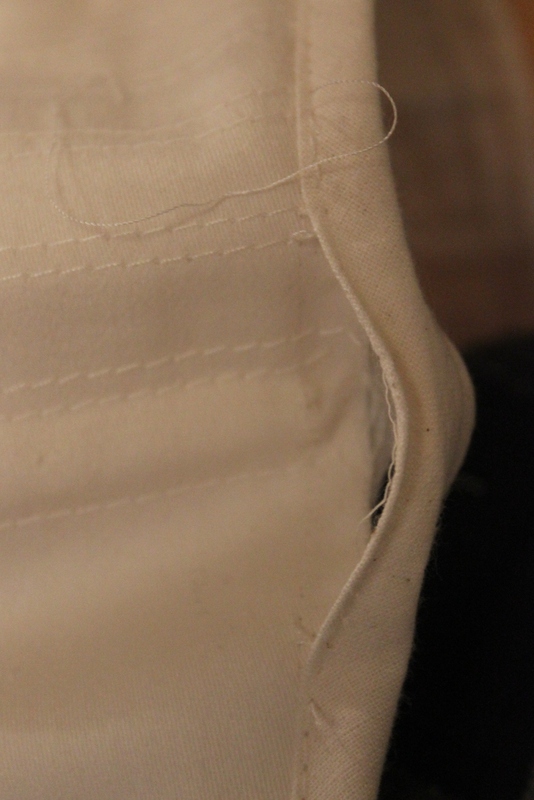 But the combination of wear and way to weak fabric have left the boning poking through (and often as not stabbing my thighs. So I decided to mend it. 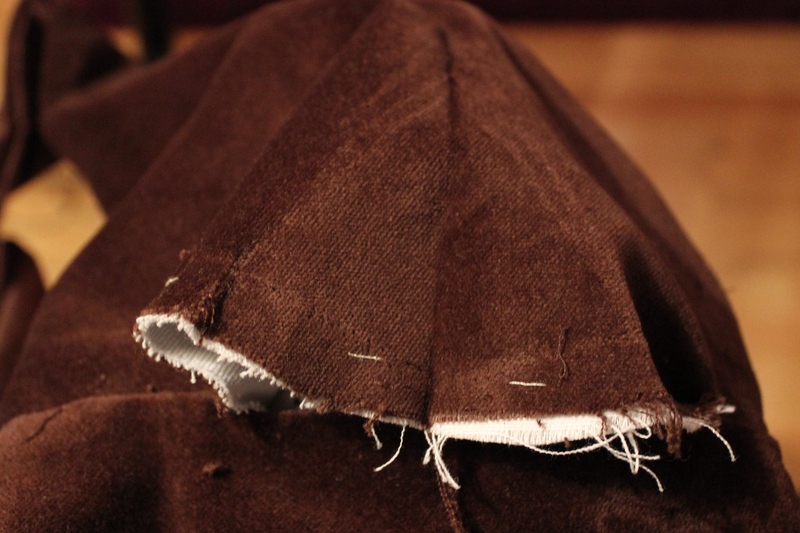 Starting by un-picking some of the bias binding. 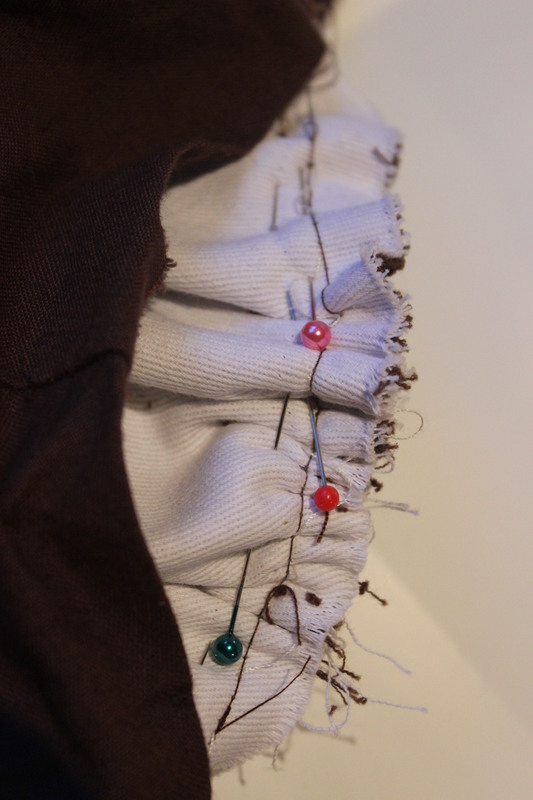 And stitched on a tiny rectangle of sturdy twill fabric. 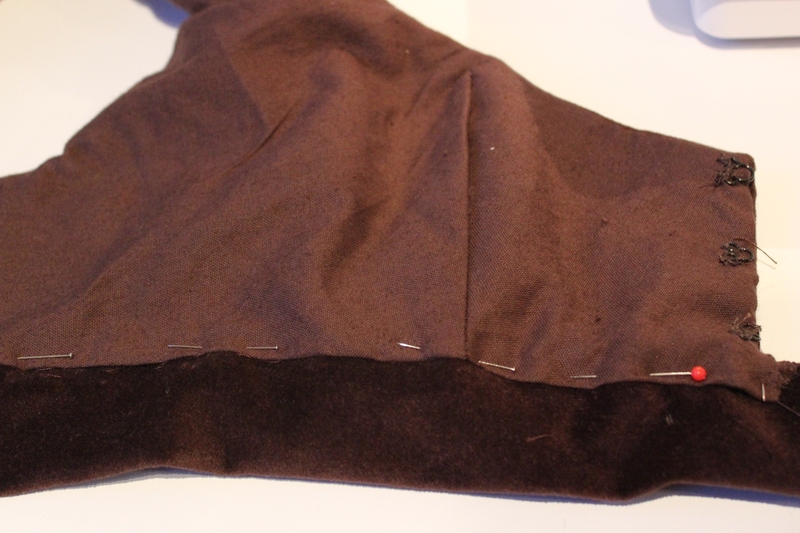 Then I re-stitched the bias-tape. 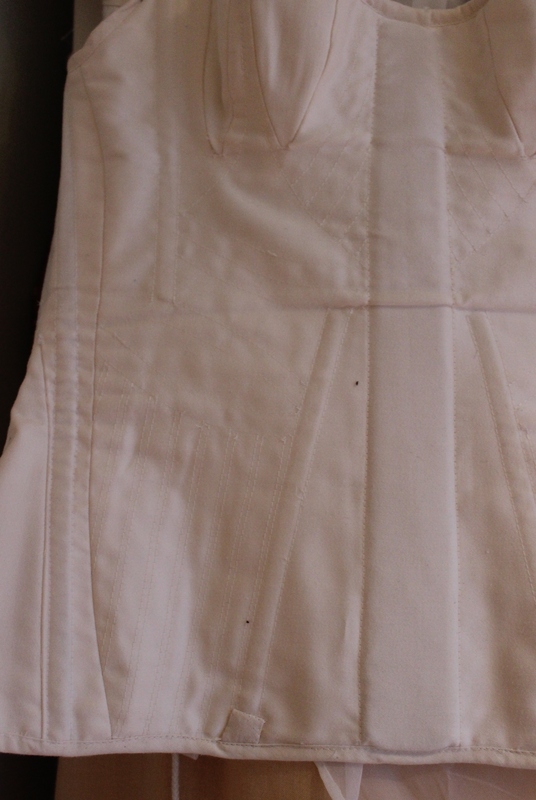 Even if it’s a bit bulky it wont show through the lose gowns which will be worn on top. 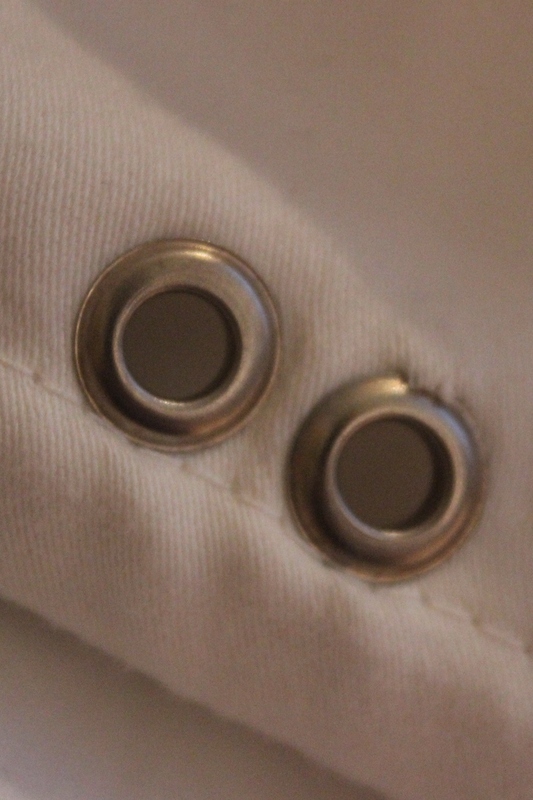 When finished I also discovered the eyelets where about to lose their grip of the fabric. Guess I will have to consider making a new one soon. 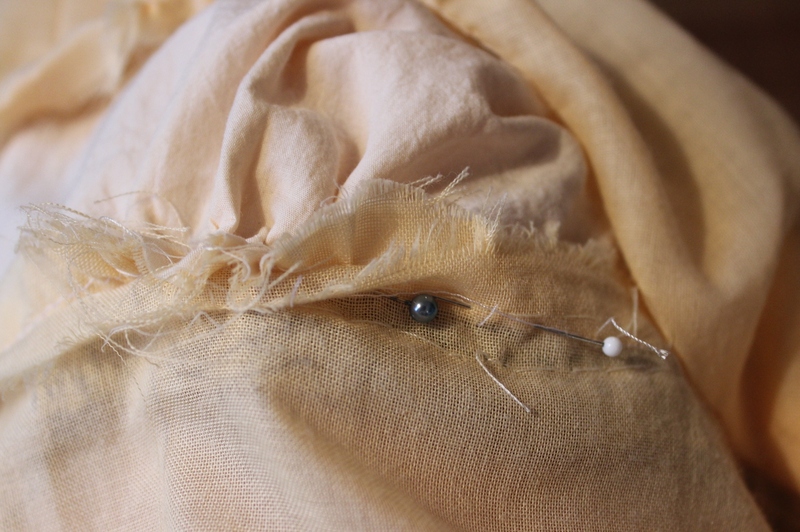 Then I moved on to re-working the bust of the yellow volie dress. 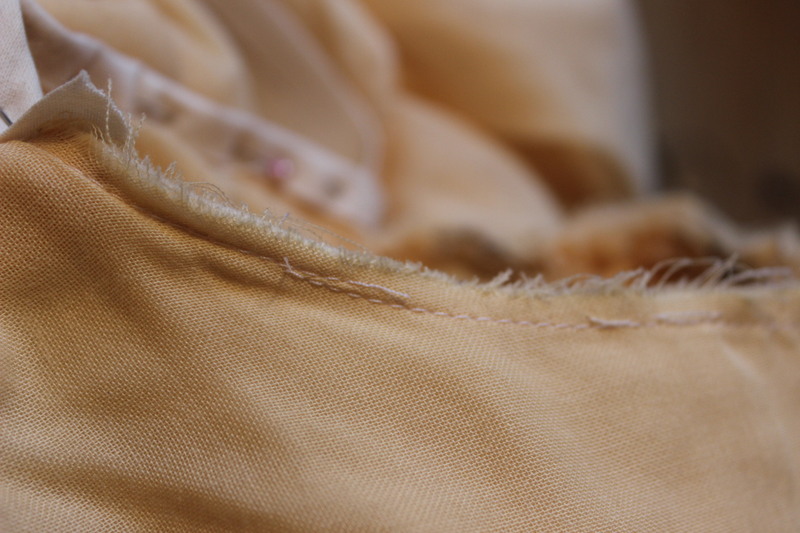 When I wore the dress for he first time I noticed The gathering at the bust was somewhat to far to the sides, so I un-picked the under bust seam and moved the gathers 1,5 cm to the middle. 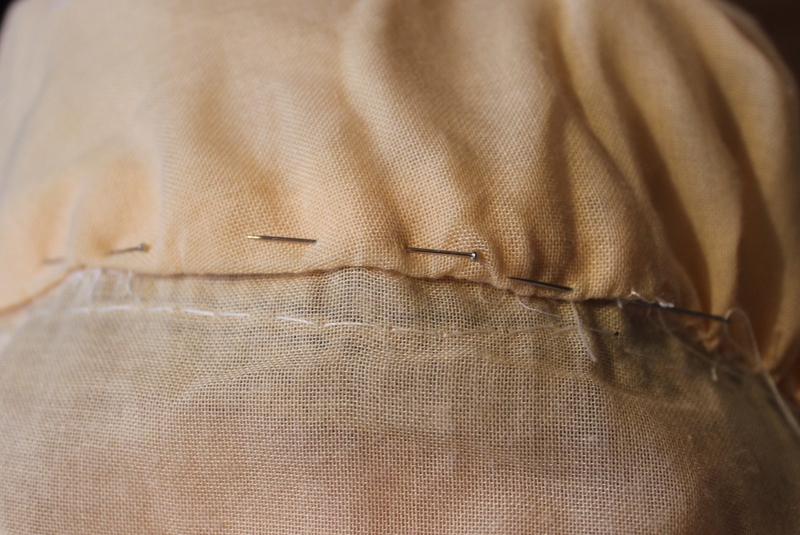 Then I stiched the seam shut and pinned the lining back on. 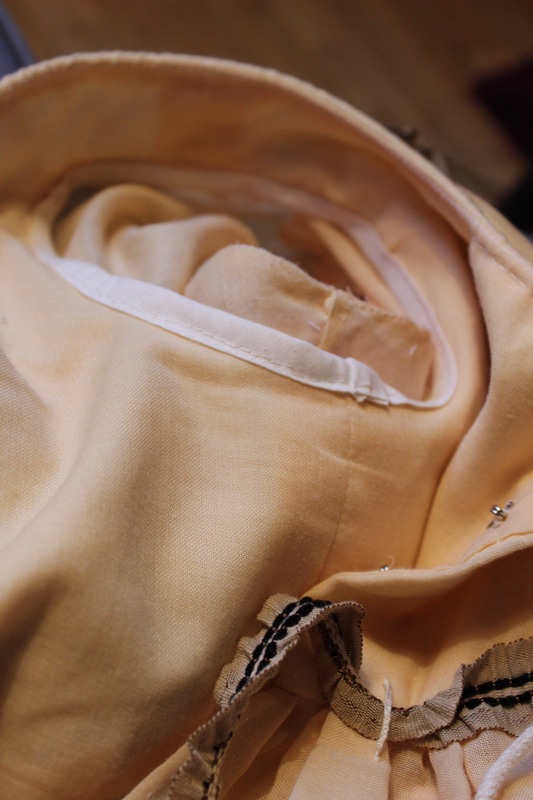 Once the bust was done, I continued on to the sleeve – which I didn’t had had the time to finish, but left raw. 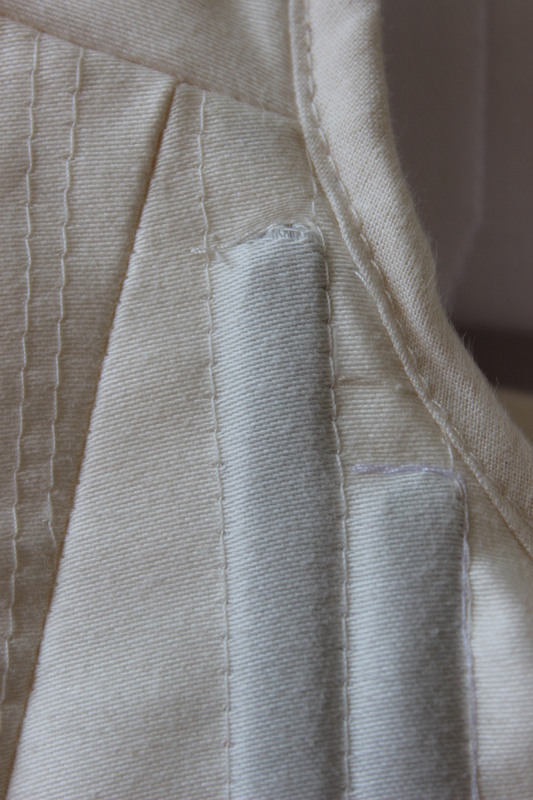 I used a ivory bias-tape to cover the seam allowence. And lastly I re-worked the bust on the regency west. I decided to scrap the darts and instead gather the fullnes to get a nice shape to the bust. 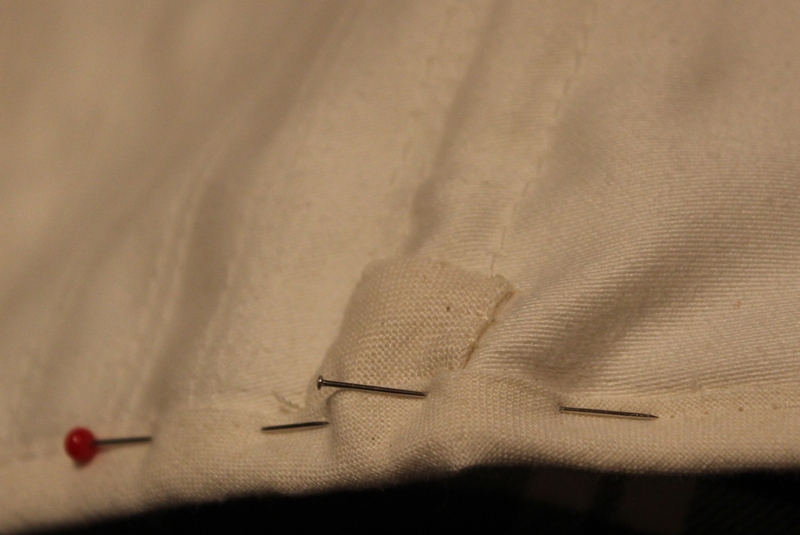 I basacly did the exact same thing as with the yewllow dress, un-picking the under bust seam. Gather the with to the waistband. I’m not sure it will be that much better, but I hope it will turn out to be an improvement. 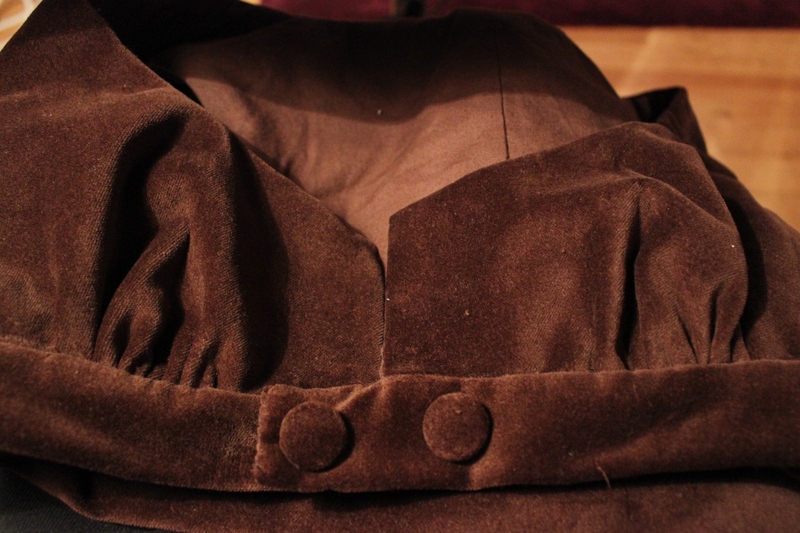 (I also re-trimmed the bonnet, but you ill have to wait until my next post for pictures of that). 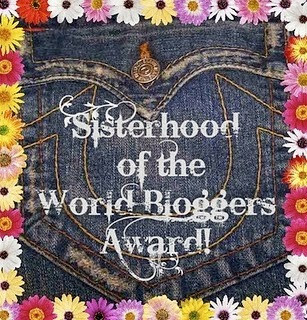 Great job on the reworkings – you are an inspiration as I just had to un-stitch the lining and fashion fabric side seams to insert an entire piece of pattern I accidentally left out. 🙂 I really like your items too. Sorry about your “forgotten” piece. 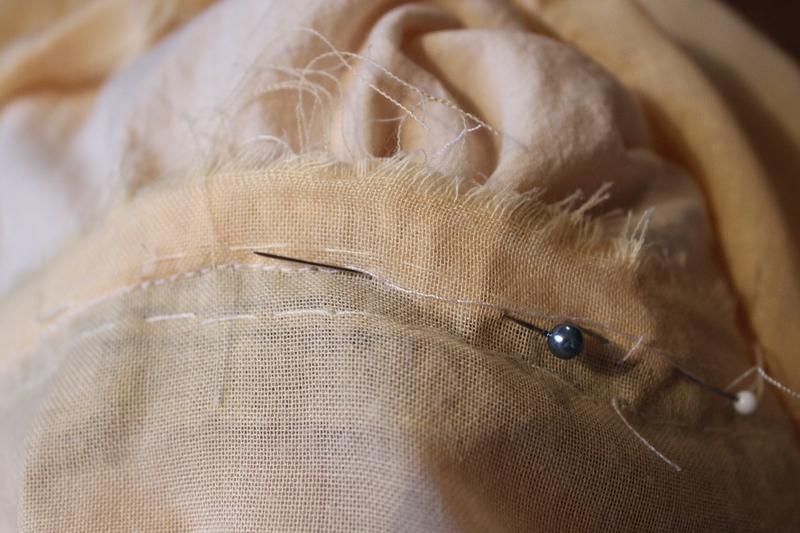 Sometimes you just have to do a little re-stitching to make the garment work. And it’s almost always worth it.